You’re Invited to the September Partner Challenge! It’s official. 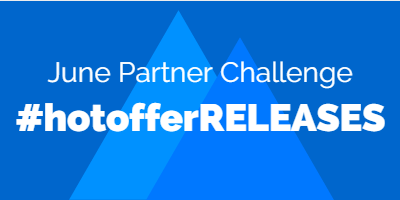 The goals are set, invites have been mailed, and hot offers are ready for release – The September Partner Challenge will begin Tuesday, Sept 1st and we want YOU to win! Did you know that every challenge is free to play – and free to win? Each challenge is a competition against your average not against each other. You Challenge You. …And really there is no downside to participating. So do yourself a favor – sign up today and shoot for your goal! Increase your monthly earning potential by referring publishers to the RevResponse Network. June produced record breaking stats for publishers both new and seasoned; and the elite rose to the top to beat the challenge. Cut the Cord Sweepstakes Winners! The "Cut the Cord Sweeps" was a great success. Last Week to Promote to Win! We are in the final full week of the June Partner Challenge. As many of you may have noticed, there has been a record breaking amount of HOT OFFERS this month. We hope that you have been able to take advantage and promote several of these major offers. Get your final promotions ready for this week - promote to win! Week 3: Half Way There, Keep it Going Publishers! Keep the momentum going this week by promoting one of these exclusive and very popular eBooks. Select an offer that aligns with your Audience demographics for the best results. Week 2: More Hot Offers to Promote and Win! We are kicking off week 2 of the June Partner Challenge with an exciting new sweepstakes. Plus, today two additional hot offers have been released and are ready for promotion! Check out the details and start promoting today. The June Partner Challenge Starts Today! The RevResponse Team is bringing out all the best offers this month including exclusive high value titles and a new sweepstakes. To kick-off this first week of the Challenge, there are two exciting offers for you. Plus, last minute Challenge sign-ups will also be accepted today (Monday June 1st). Don’t Miss Out!